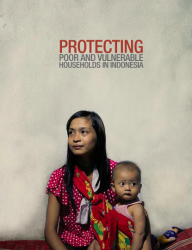 This report from the World Bank, the first comprehensive assessment of its kind in Indonesia, assesses the extent to which current social assistance programs are providing an effective social safety net for poor and vulnerable households in Indonesia. The Government of Indonesia has introduced a range of social assistance programs forming the potential foundation of a true social safety net. Today, social assistance is concentrated in eight household-based programs which are all primarily designed, funded, and executed by the central government.